Georgian and Kist youth participated in the LINC project aimed at building confidence among the communities of Akhmeta and Pankisi. 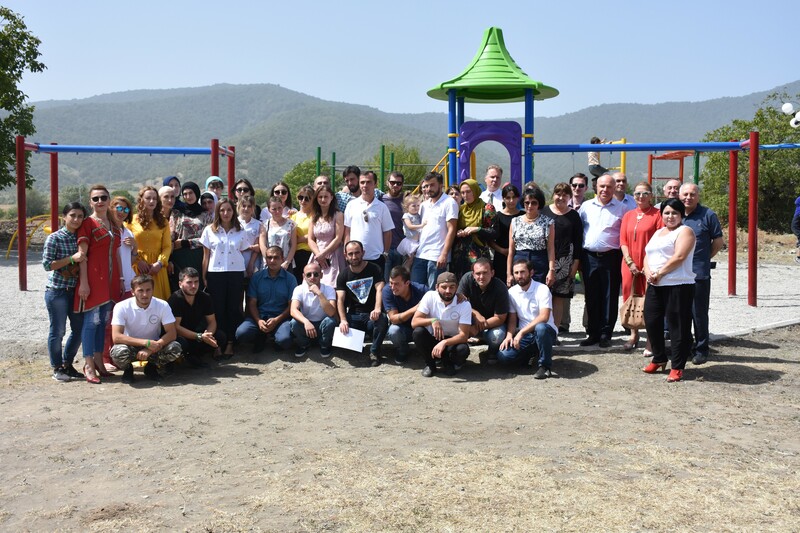 The project, implemented by Action Against Hunger (AAH), in partnership with Kakheti Regional Development Foundation (KRDF), assisted the local youth in improving the personal and professional competences and finding employment opportunities. Moreover, it supported them in developing their small businesses and working together on joint community initiatives. The project provided a space for learning and encouraged them to take actions to achieve their professional objectives. 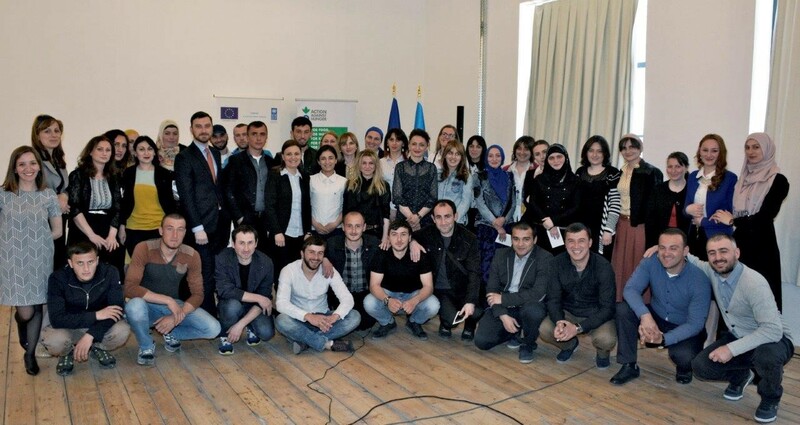 In an open and collaborative environment, Georgian and Kist youth came together for joint sessions, exchanging knowledge, sharing ideas. They also jointly attended trainings on confidence building, gender, needs assessment and project writing, as well as a training on entrepreneurship and participated in study tours. Young people designed community project initiatives, which allowed them to bond, find common interests and take joint actions that would have a wider social impact. They took part in the Employment Shuttle and jointly planned trainings on confidence building for 100 high school students. The local Government actively supported and contributed to the project. Upon completion of the LINC project, the two community projects have been handed over to respective local government bodies, who are in charge of their management and future maintenance. Likewise, the participants who worked on the project intend to stay engaged in the process by organizing poetry evenings and educational/youth events to encourage people to be active visitors of the library and playground. The participants believe that the project has allowed them to create a youth network that can bring significant results in the long term. “I am so happy that I had an opportunity to meet Georgians in an informal environment. It helped me to understand that they are not enemies. And they can understand that we are Muslims wearing our traditional clothes, but still we are the women from Georgia,” - commented Kist woman participating in the project.